I was able to bring my family to enjoy a treat so that was nice we all got big fancy treat with extra toppings I paid 7 bucks outof pocket. Thank you so much. Me. Peeper's ice cream was a great place to find, that I never would have otherwise. 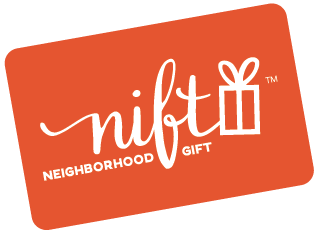 Thanks for being part of the Nift network! Can't wait to try this amazing ice cream cake. Food is our preferred nift gift. Thank you! Mr. Peepers always has great quality ice cream. My gift came at the perfect time as we purchased an ice cream cake for my daughter's birthday. thank you for the gift. Excellent ice cream and the servers were very friendly! !